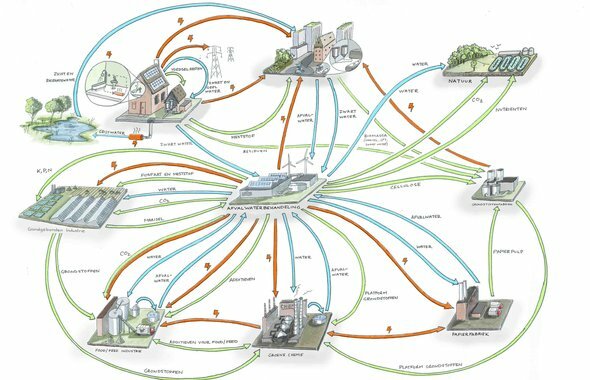 At the present moment, waste water is treated by large, centralized facilities that function in a realtively linear manner. Grey and black water is treated in a series of processes, and returned to different levels of quality. 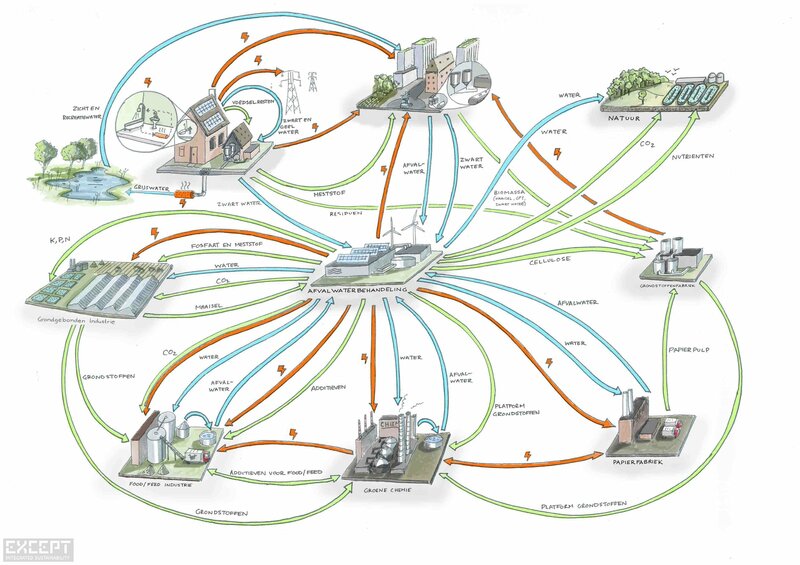 However, this configuration of waste water treatment misses out on a wide range of opportunities for making our cities and industries more sustainable. 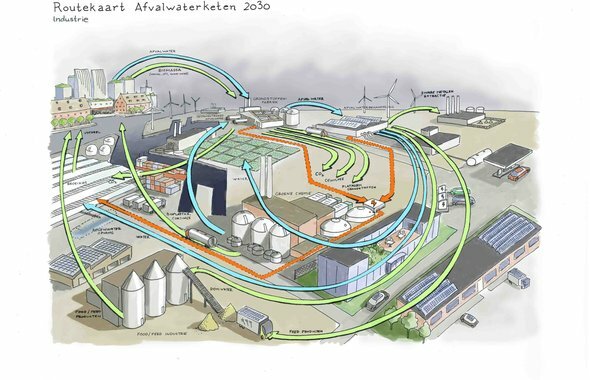 Moving to more integrated, distributed, and multi-functional waste water treatment facilities can help provide cities with clean and renewable energy and heat, industry with valuable raw materials, and agricultural land and urban farms with fertilizers. 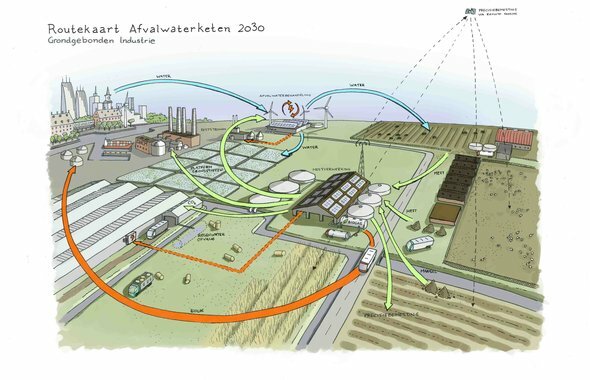 This project is a series of illustrations that visually explore and map the different possible material, energy, and water flows that a waste water treatment facility could manage as a decentralized service provider in 2030. 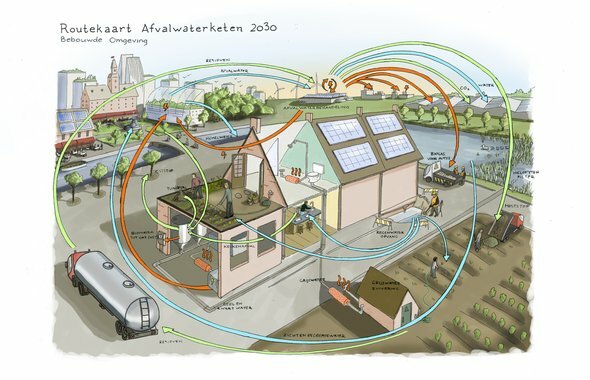 By utilizing current and developing technologies such as heat exchangers, biogasifiers, and precision fertilization of agricultural lands via remote sensing, we lay out an image of what cities, industries, and agriculture might look like in the coming decades. These illustrations are part of the report Afvalwaterketen Toekomstvisie 2030 (Waste water chain vision for 2030) developed by De Stichtse Rijnlanden in the Netherlands. 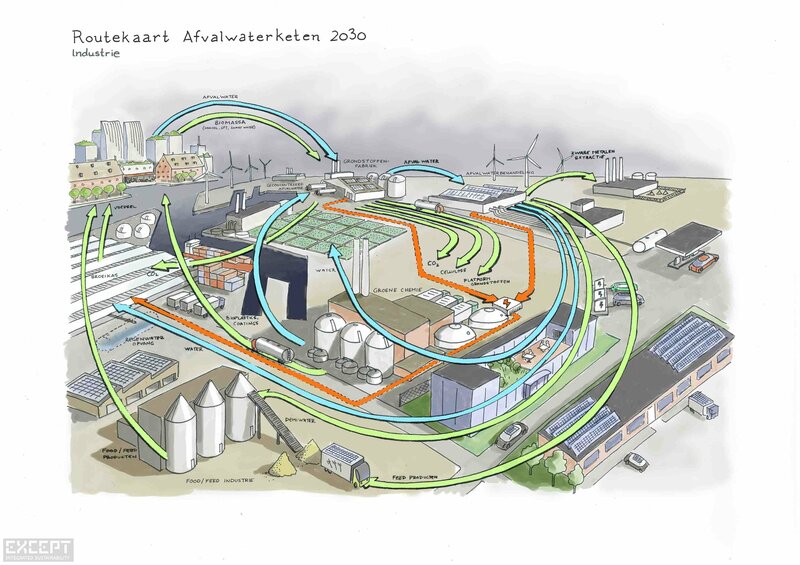 This overview diagram shows the envisioned relationship that waste water treatment facilities will have with Dutch cities, industry, agriculture, and natural lands. 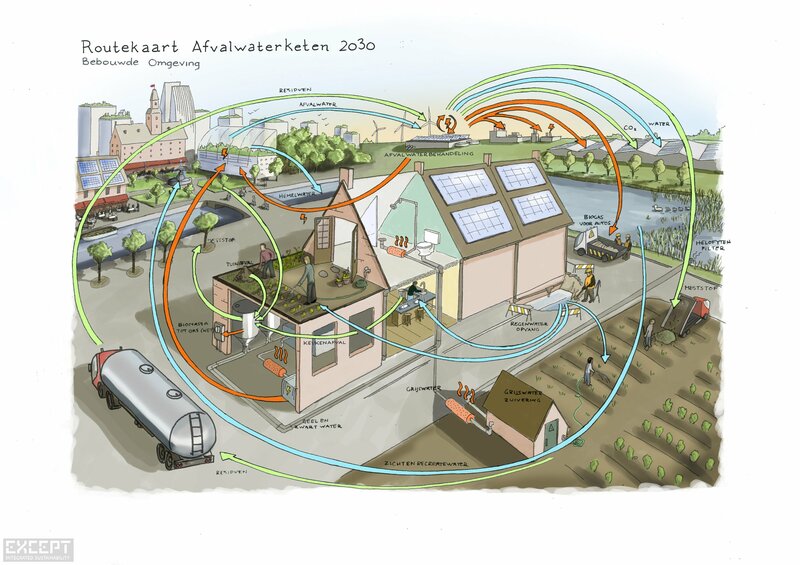 12 sustainable waste water opportunities.